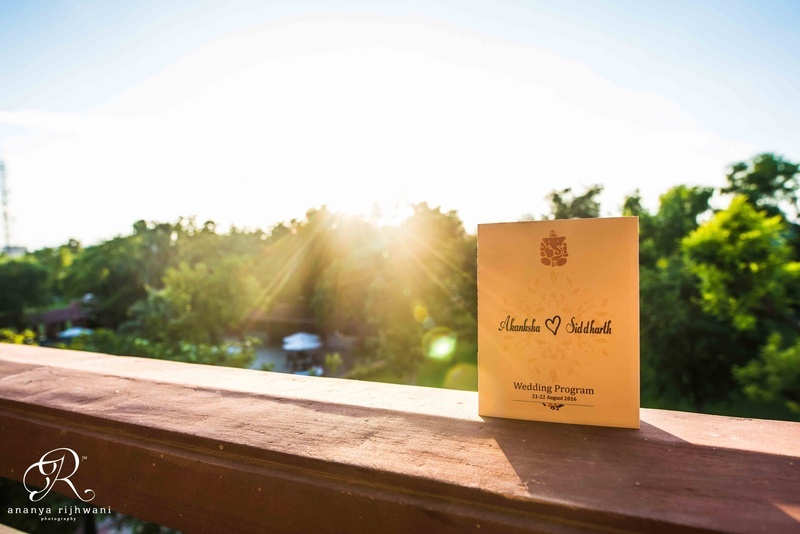 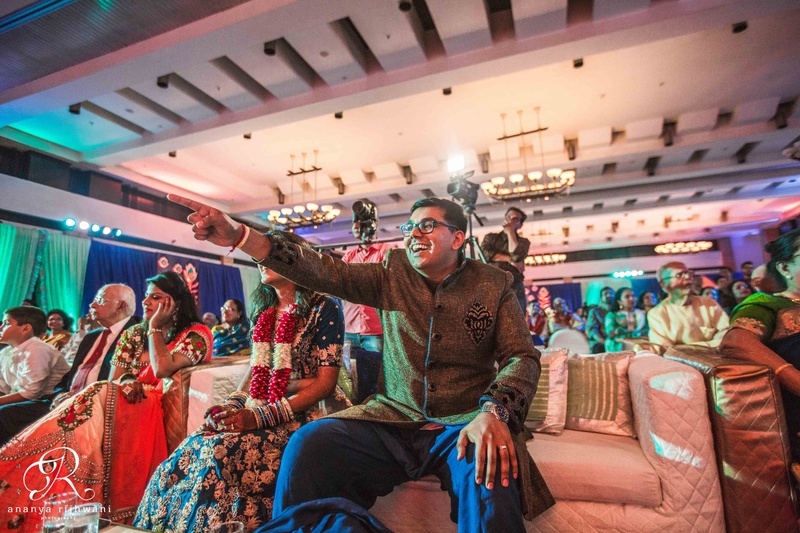 The wedding had tons of fun moments as well as love-filled ones! 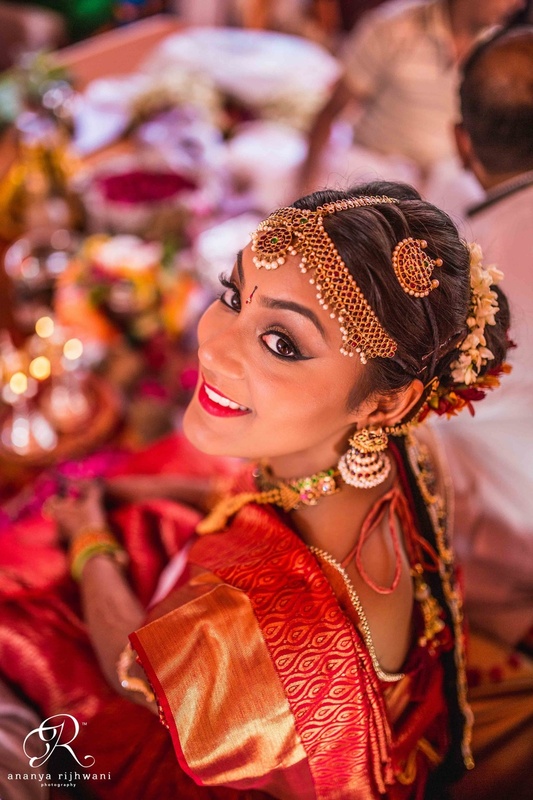 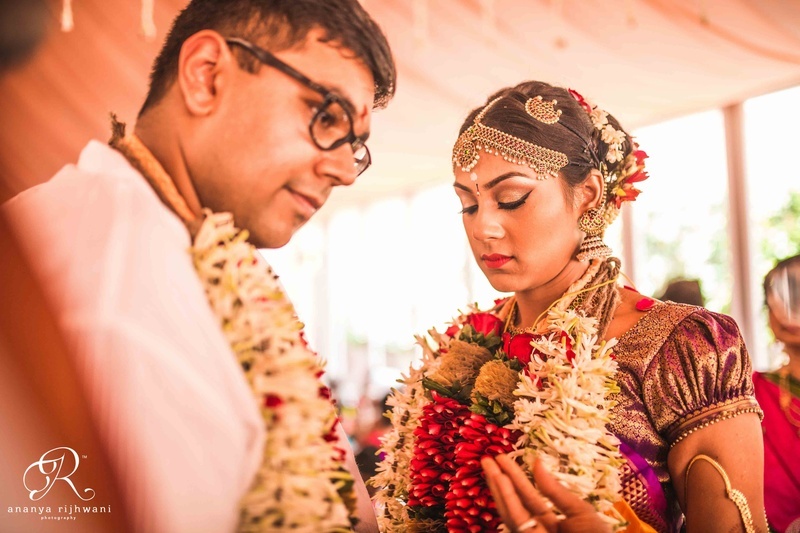 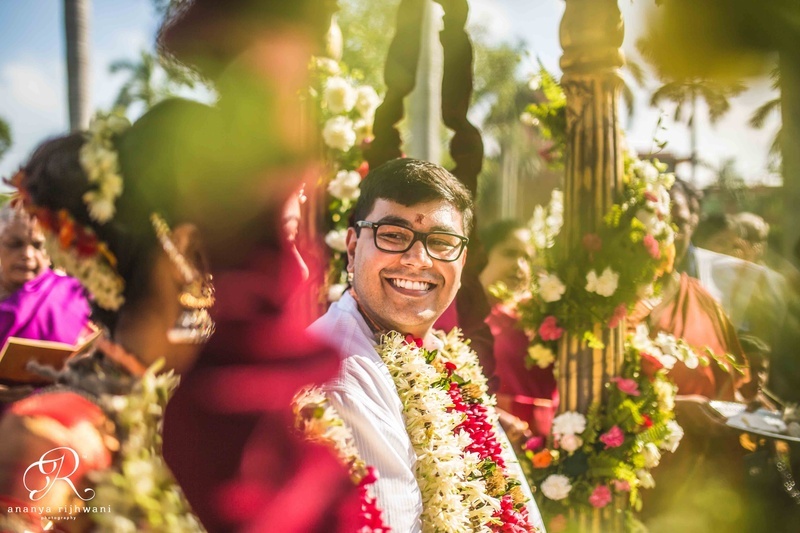 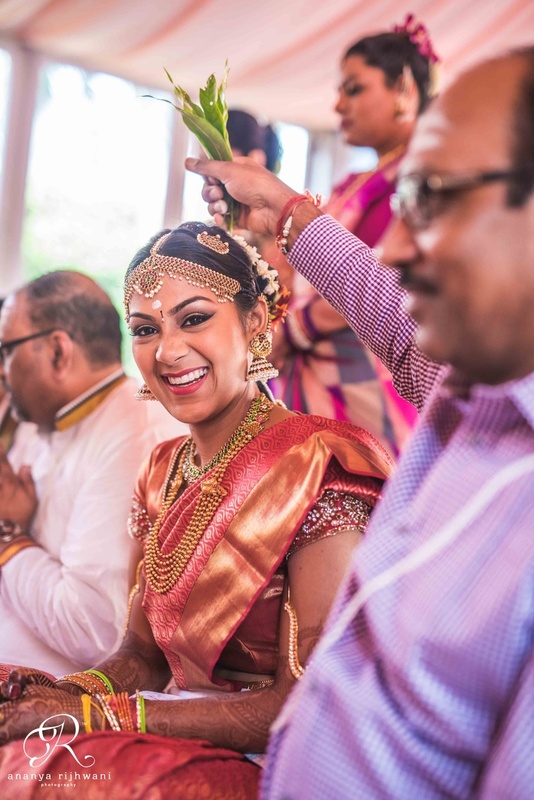 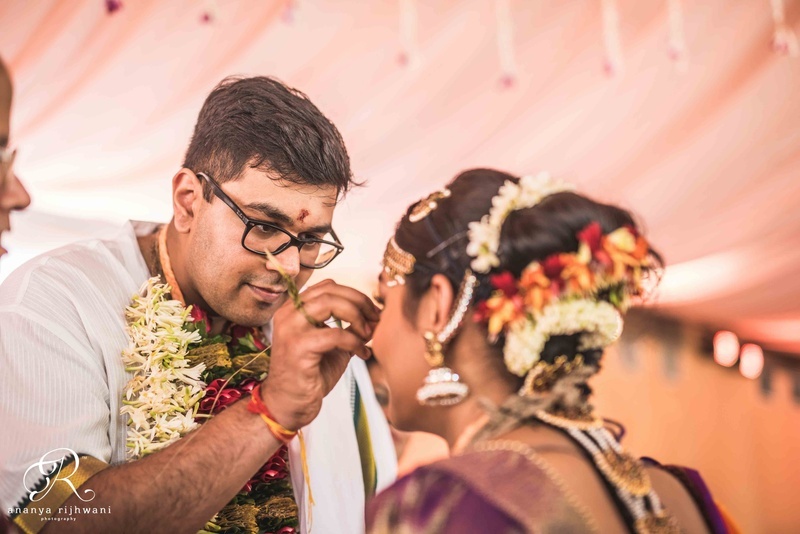 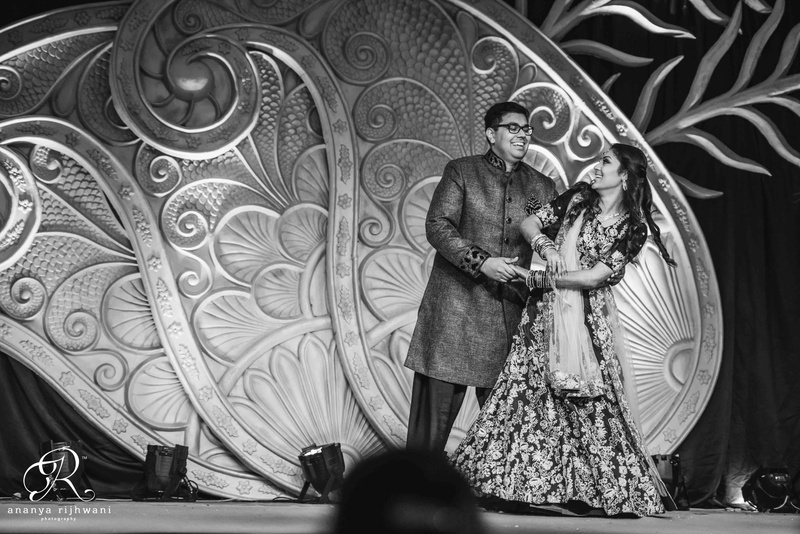 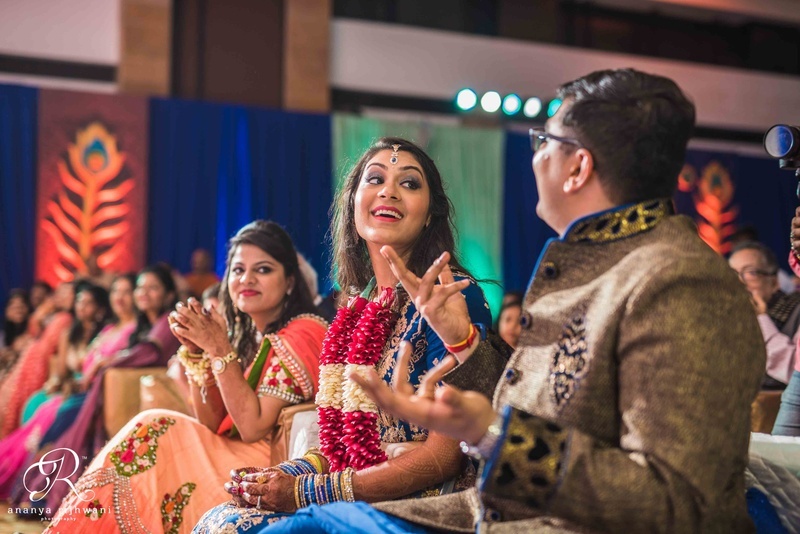 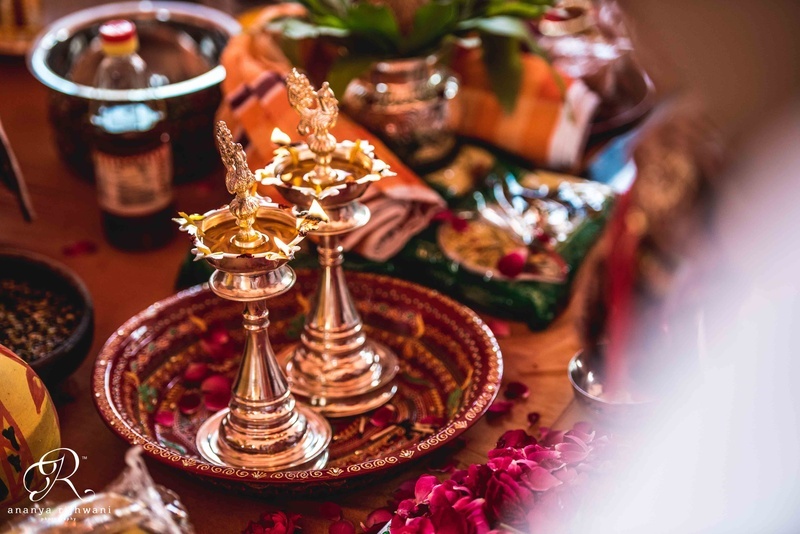 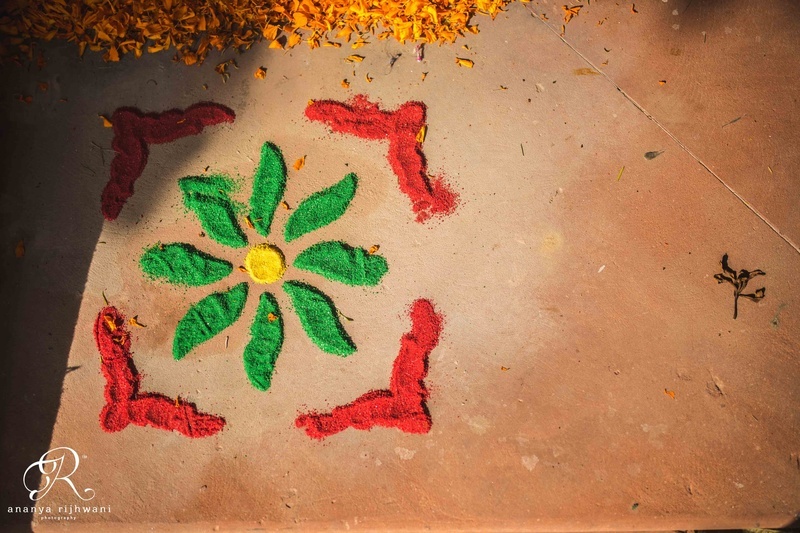 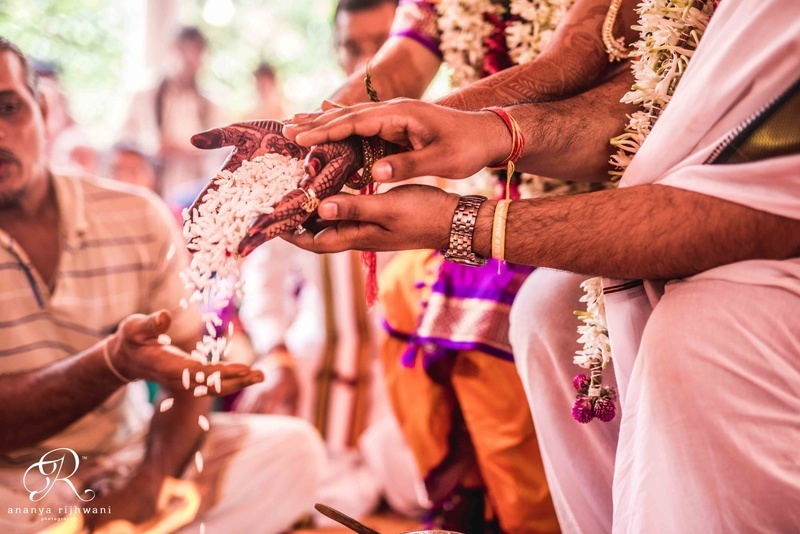 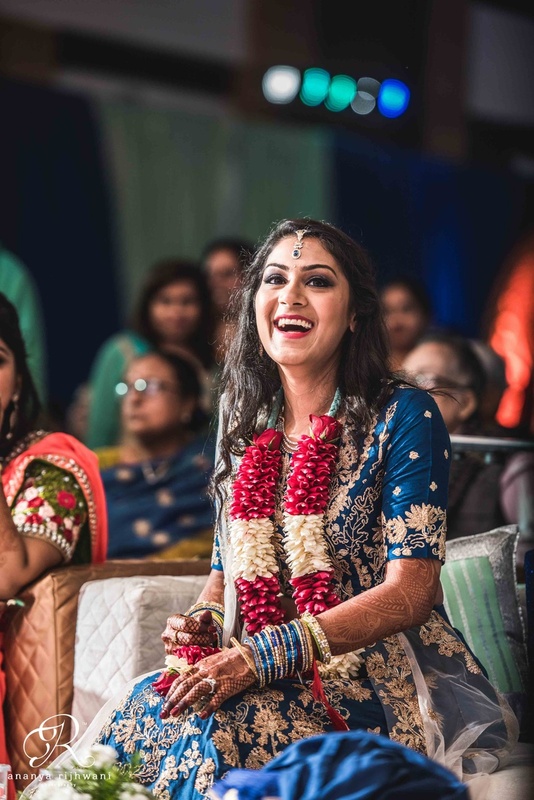 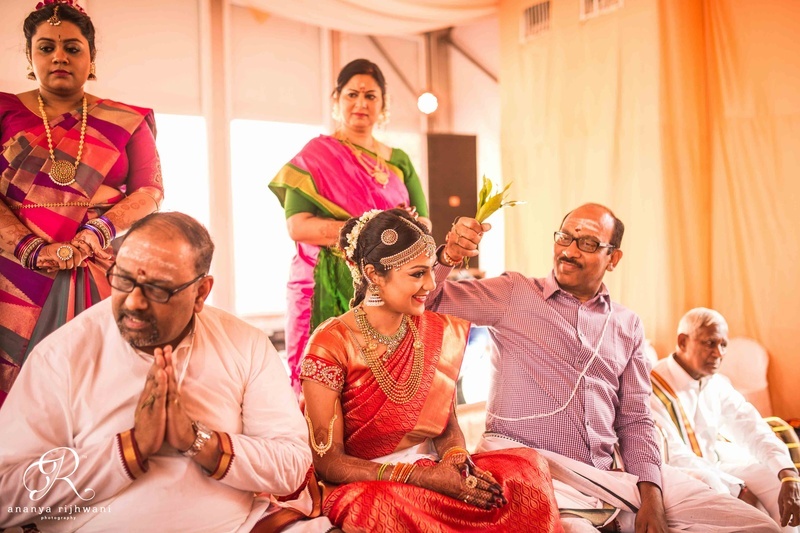 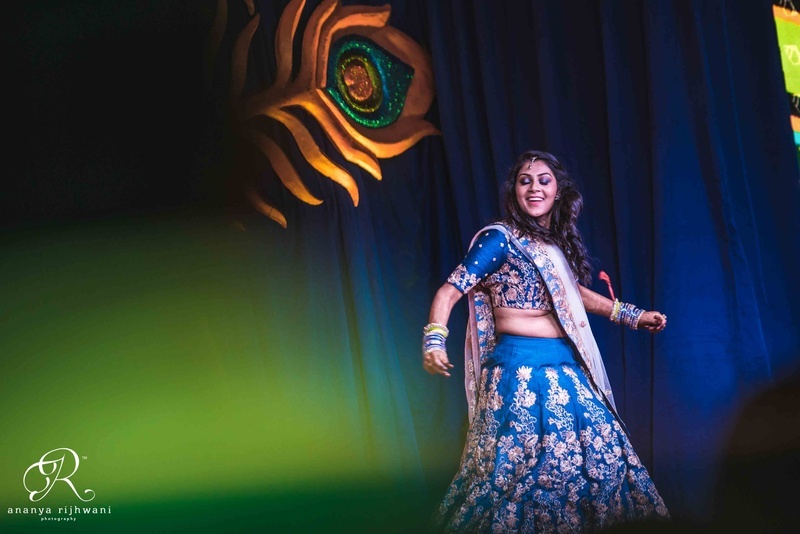 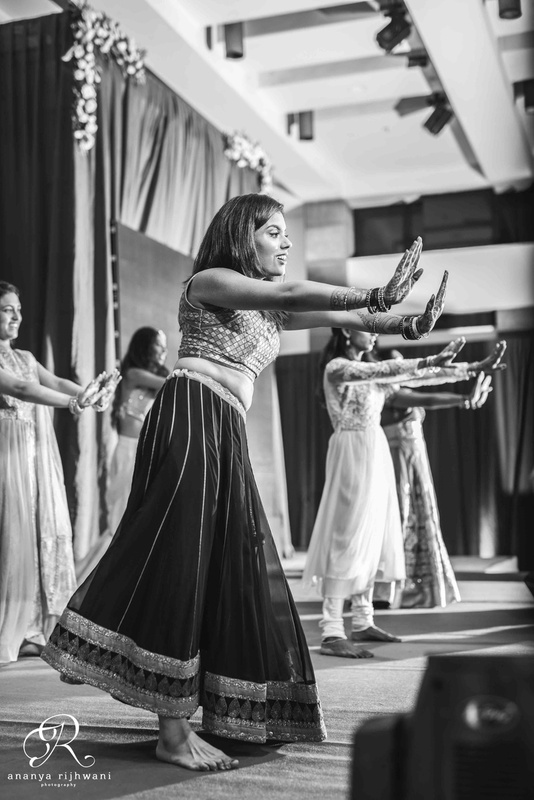 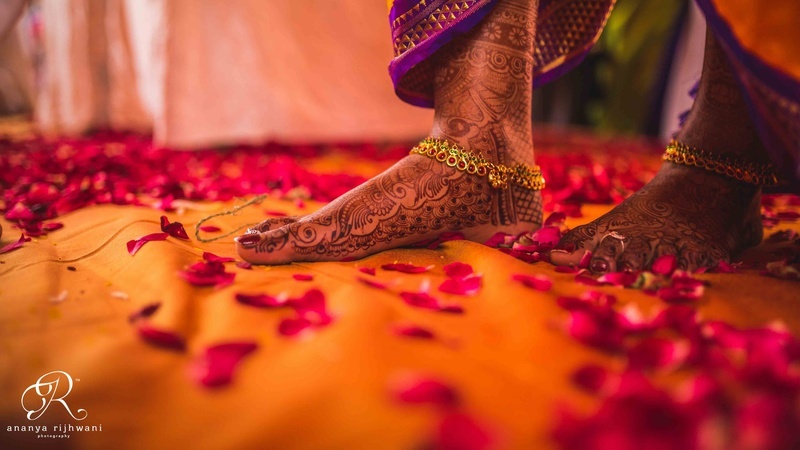 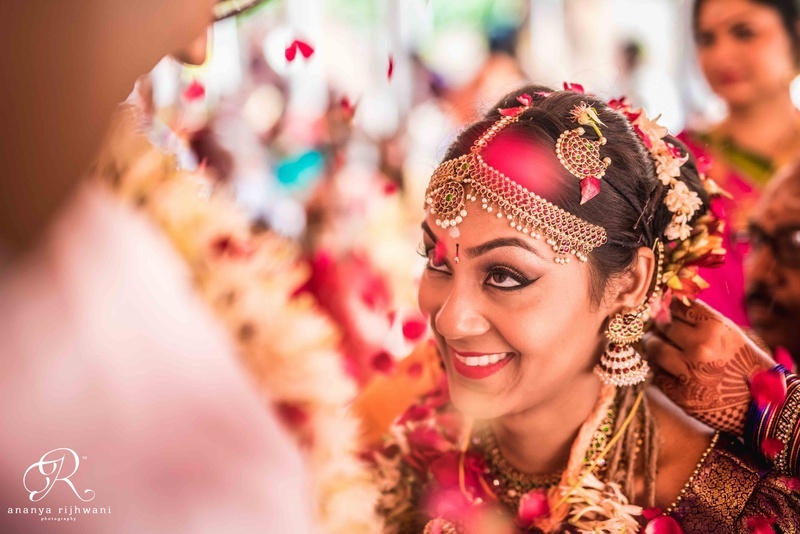 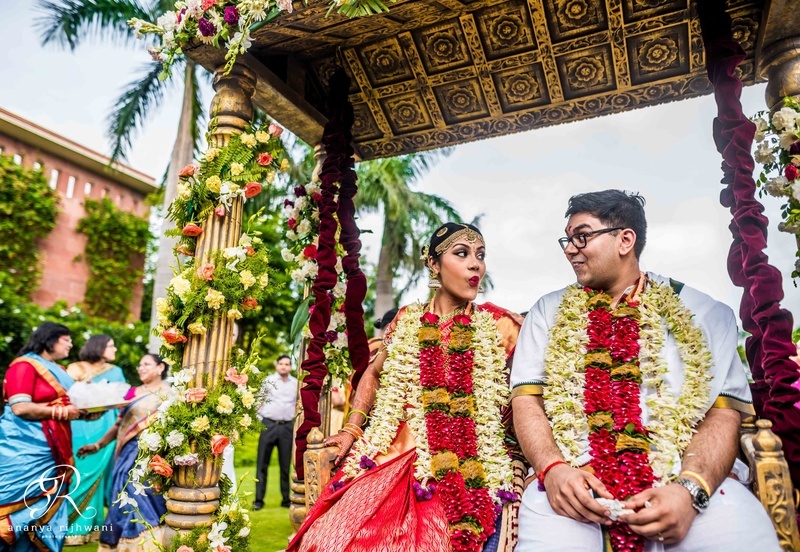 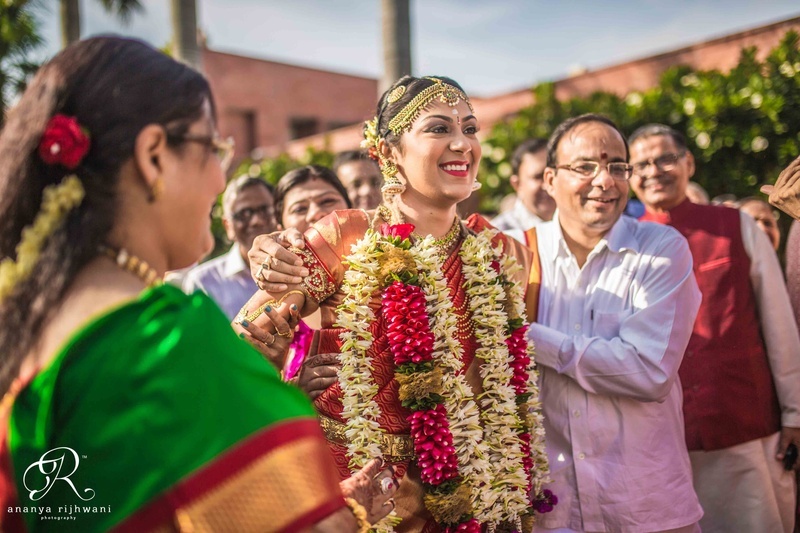 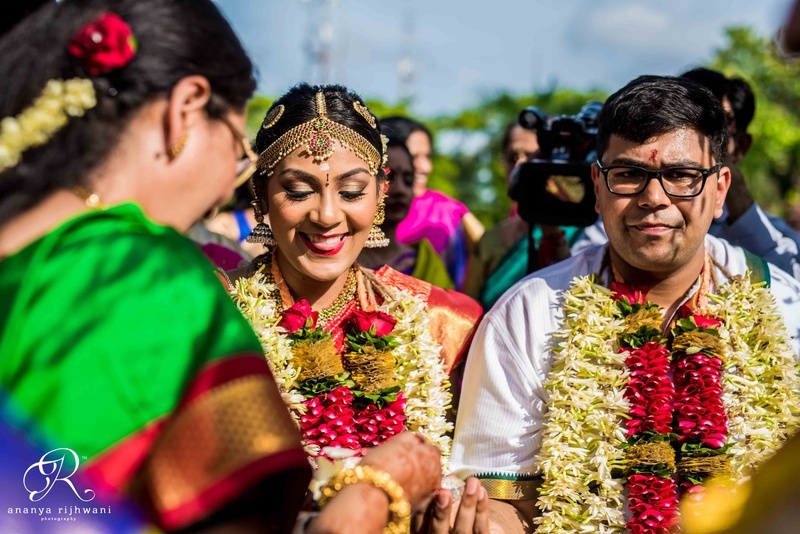 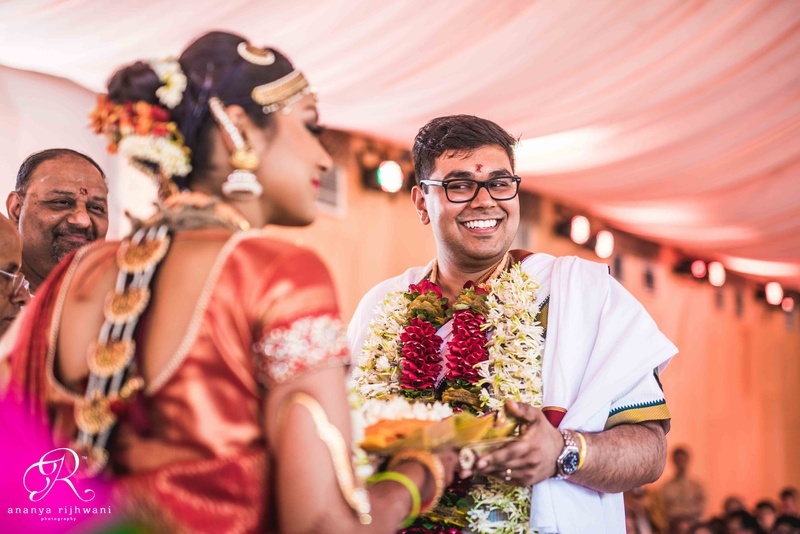 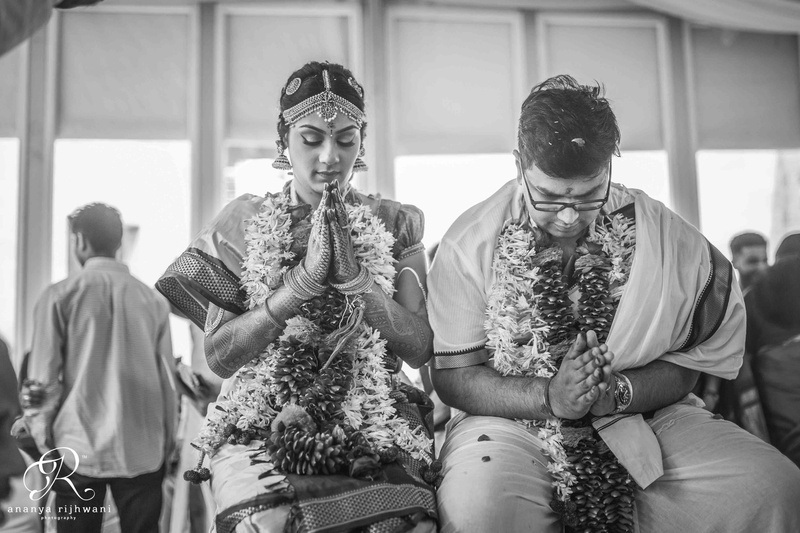 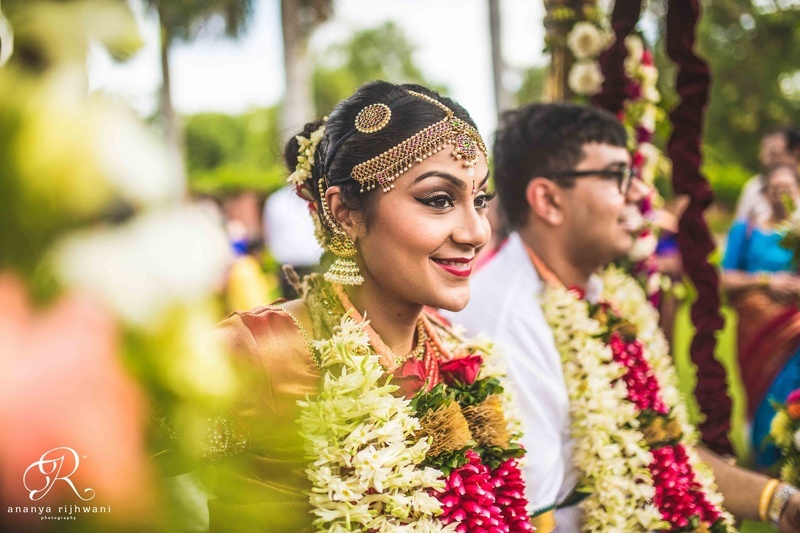 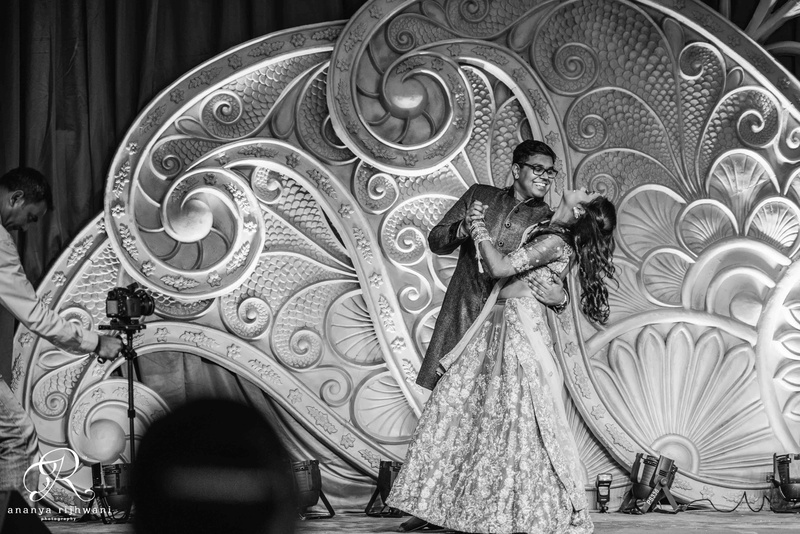 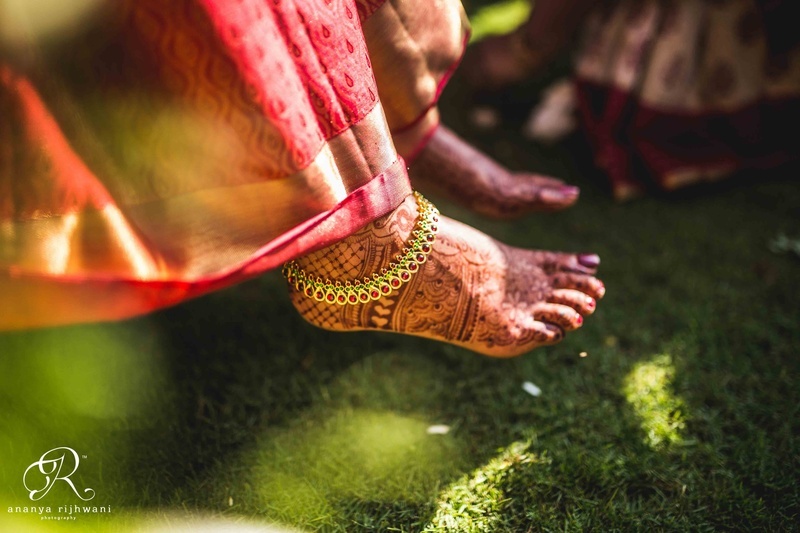 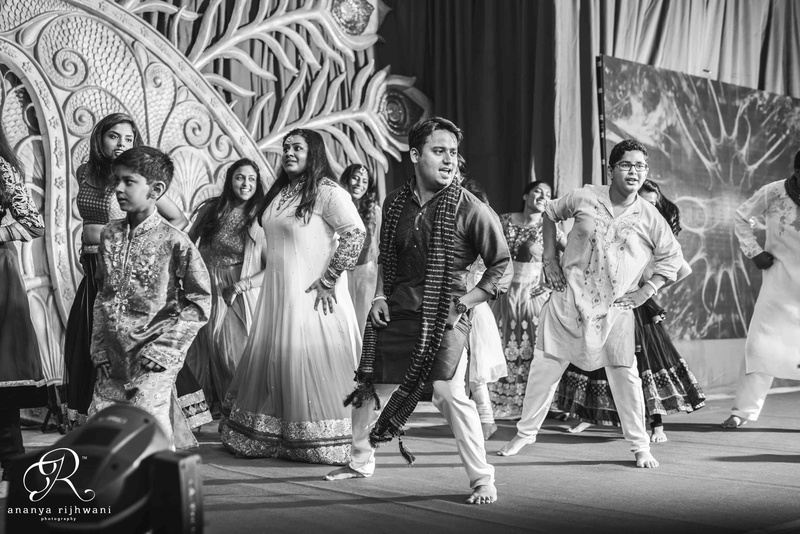 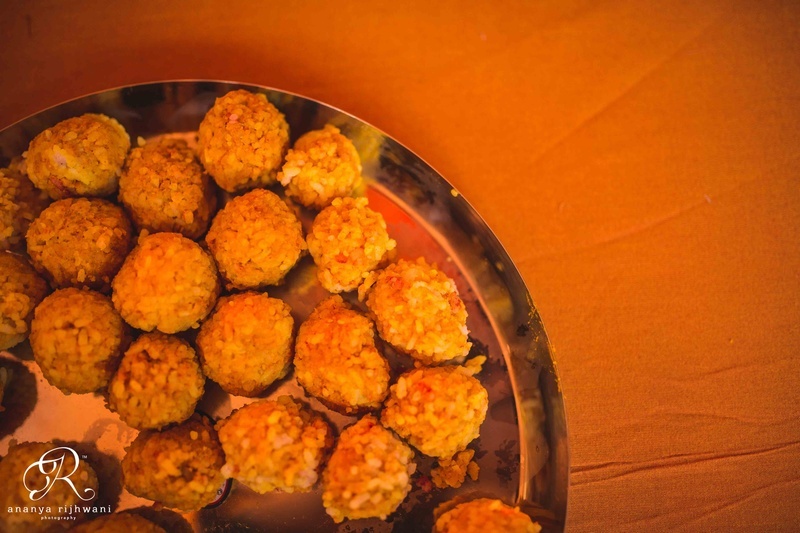 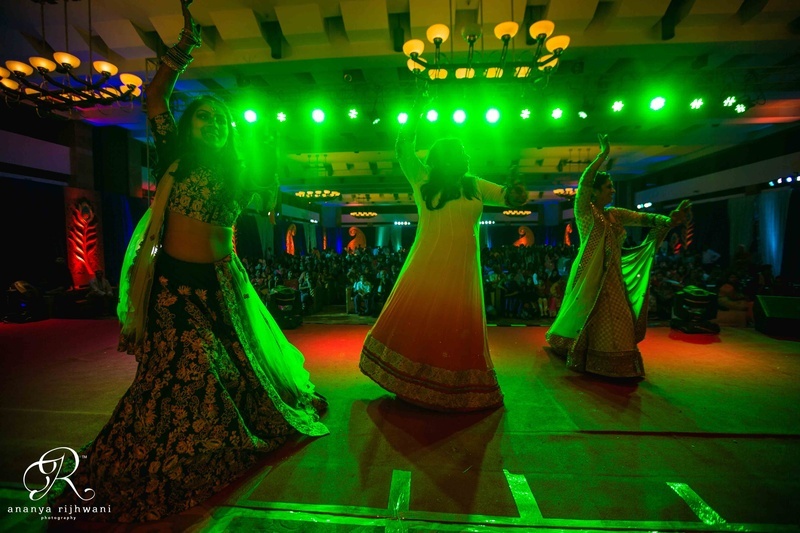 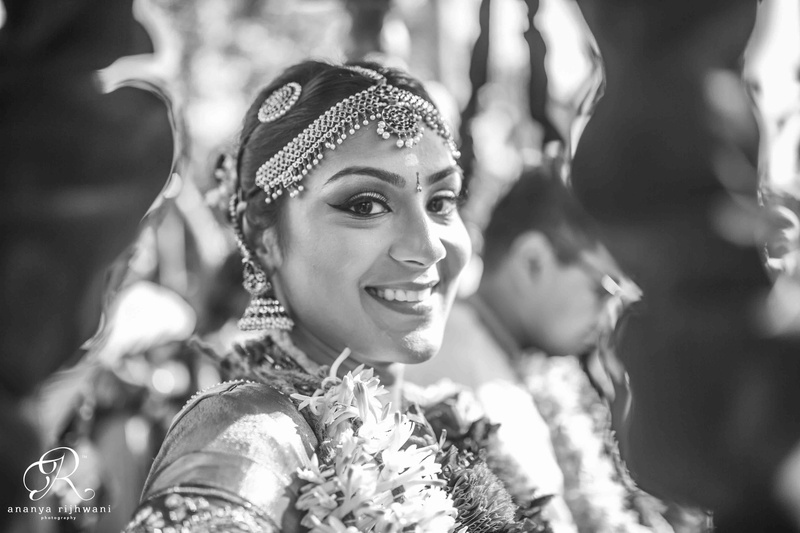 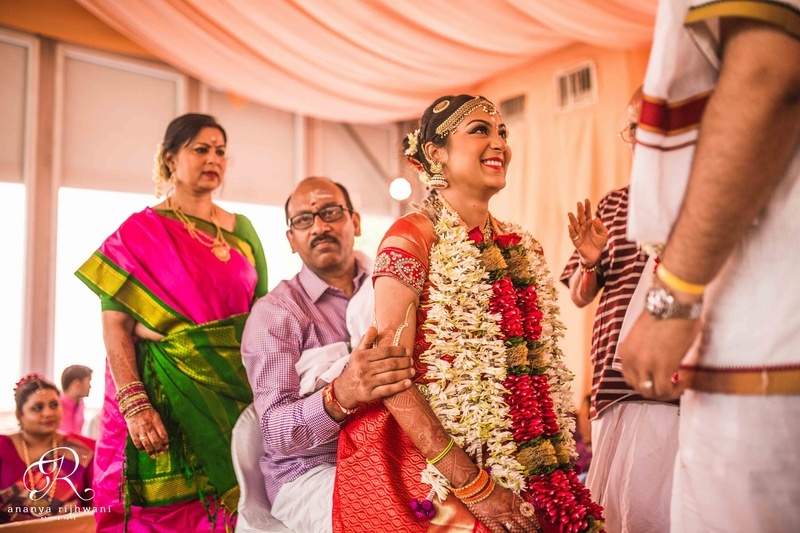 Akansha and Sidharth started their South-Indian wedding celebration with a Sangeet night that was just off the charts. 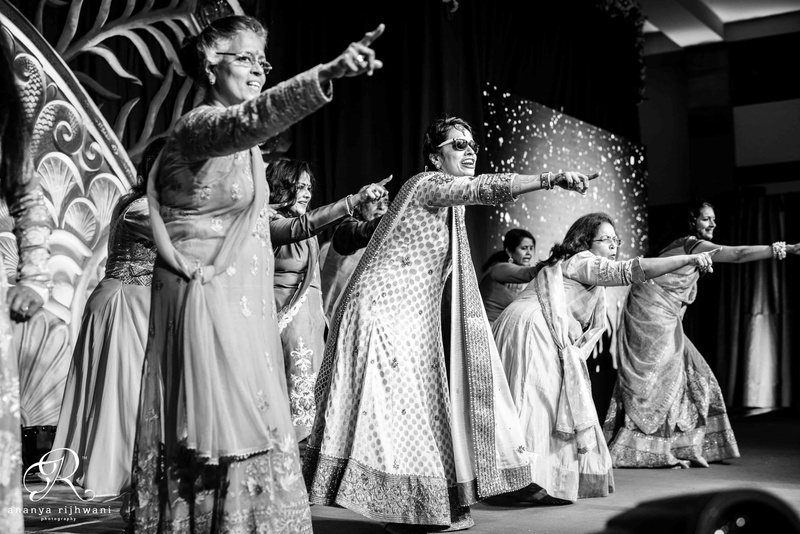 The amount of drama, dhamaka and naach-gaana at this fun night is practically palpable. 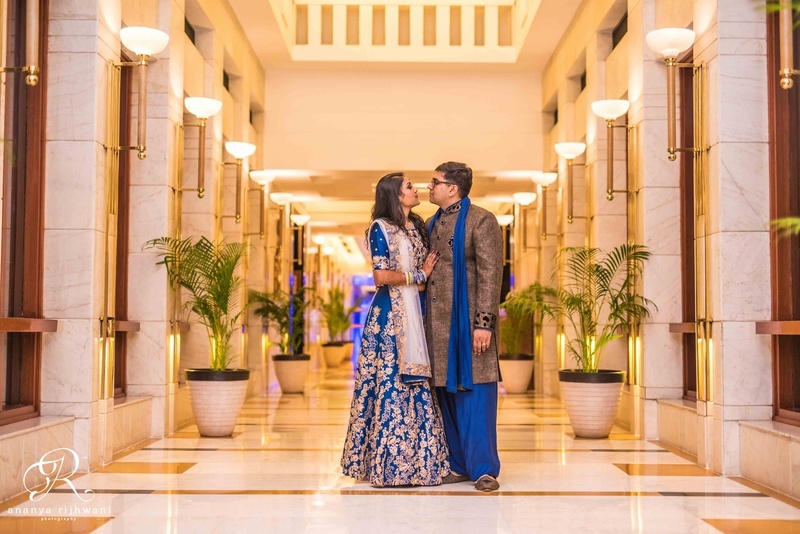 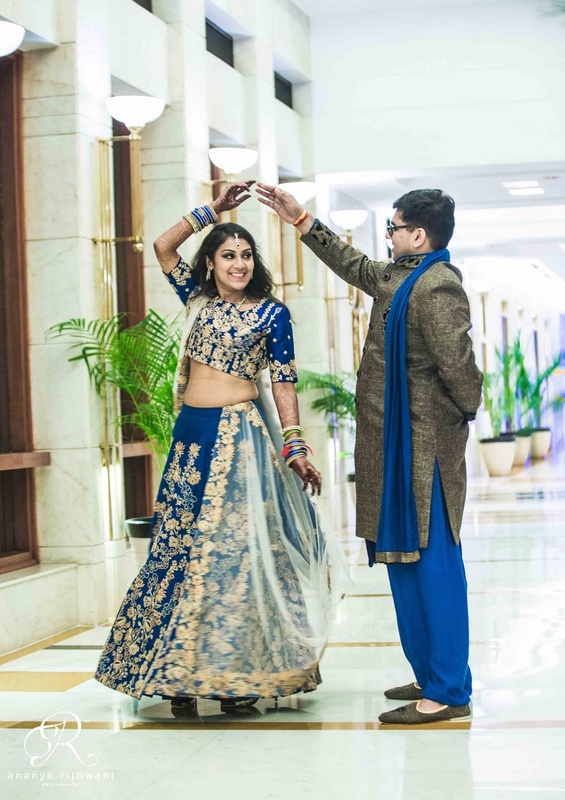 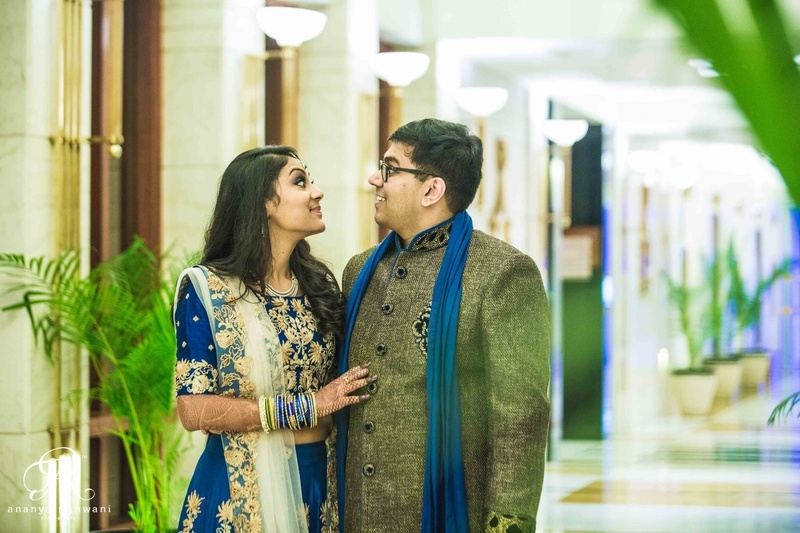 Akansha dressed herself in a rich blue silk lehenga with gorgeous gold embroidery which she paired with a sheer dupatta with a matching border. 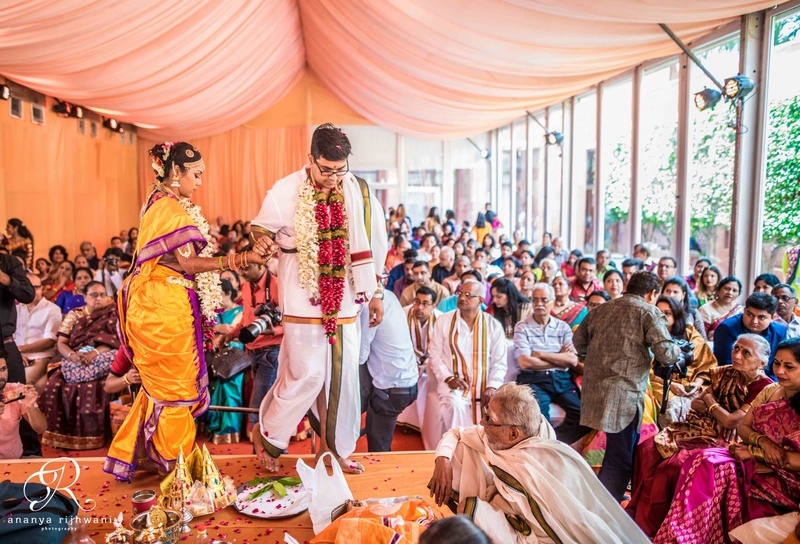 Sidharth wore a kurta ensemble that complimented the choice of his better half. 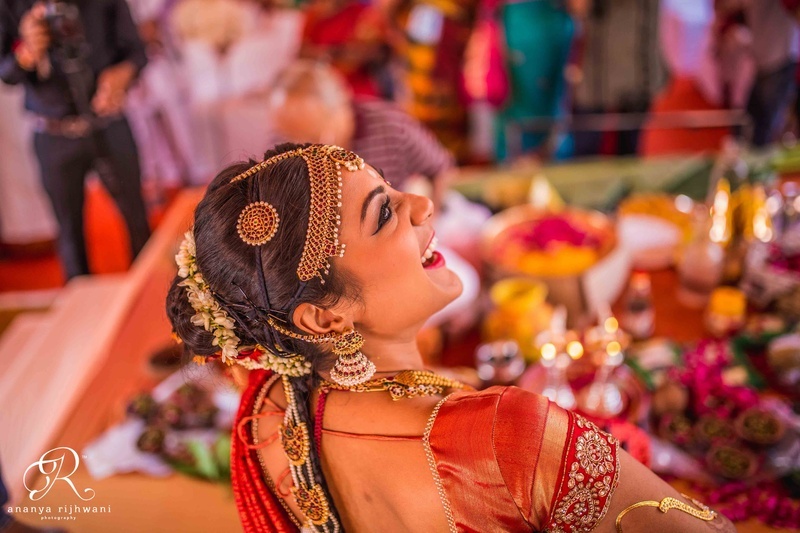 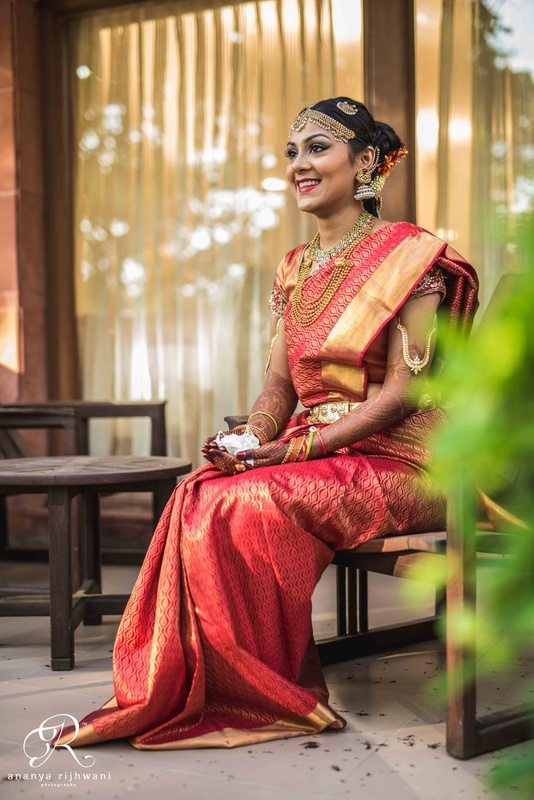 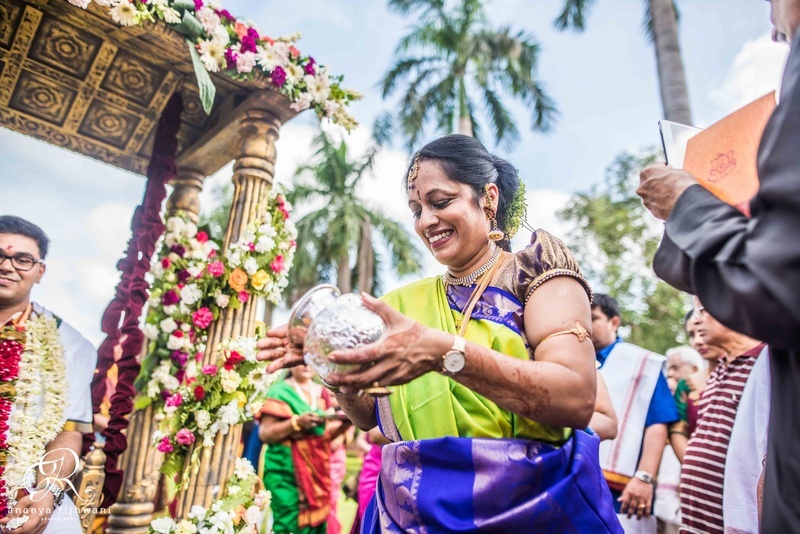 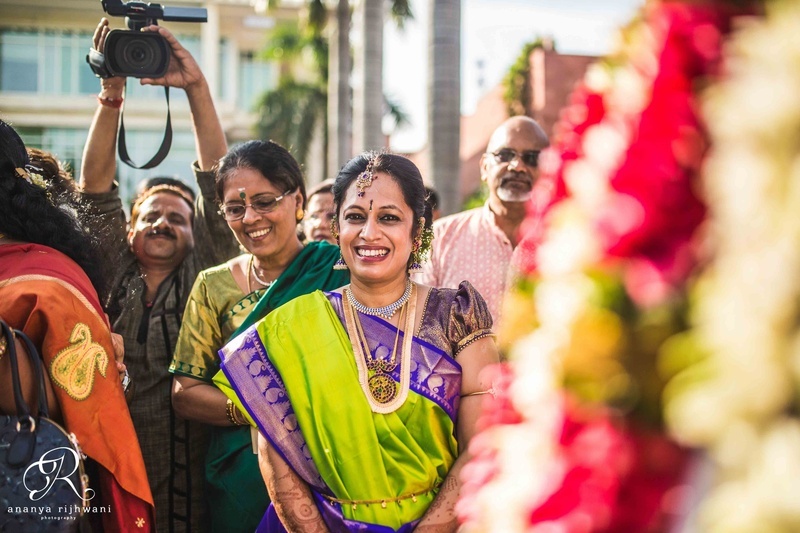 The wedding that followed took place at Jaypee Palace and Hotel Convention had the bride looking stunning in a red Kanjeevaram with a heavy gold border. 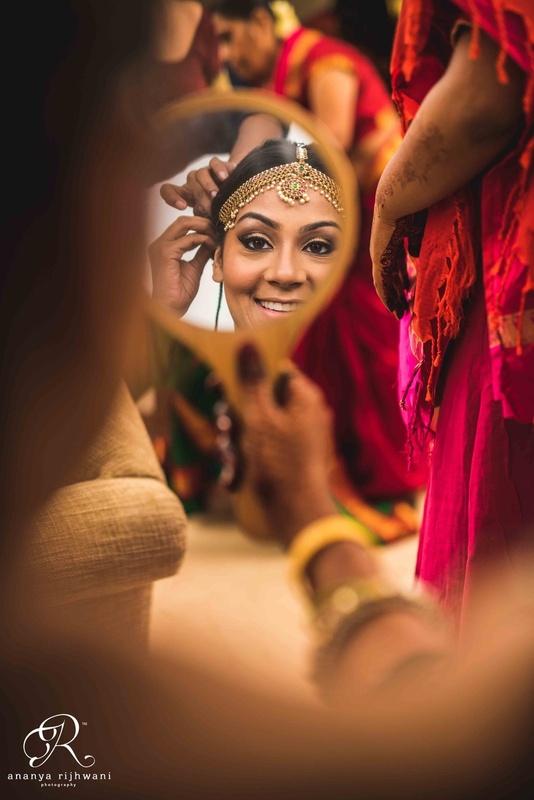 Hats off to make-up artist Gunjan Mongia who worked Akansha’s subtle look to perfection. 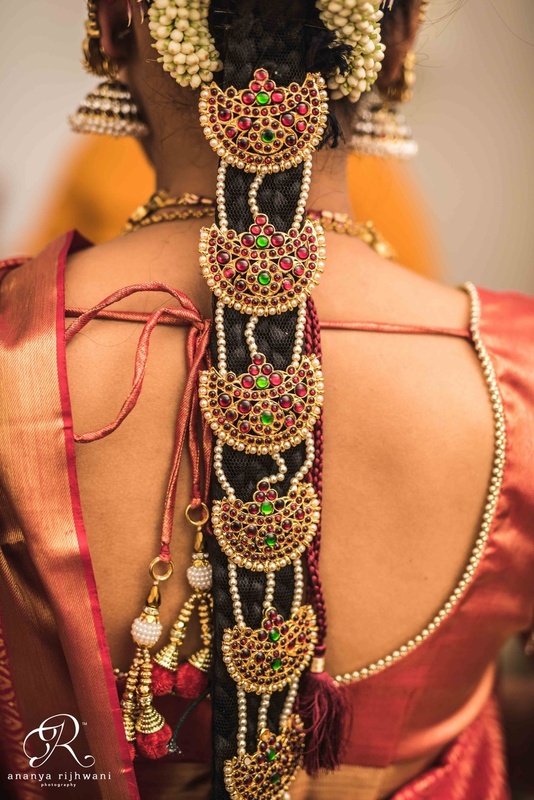 She topped off her look with minimal gold jewellery. 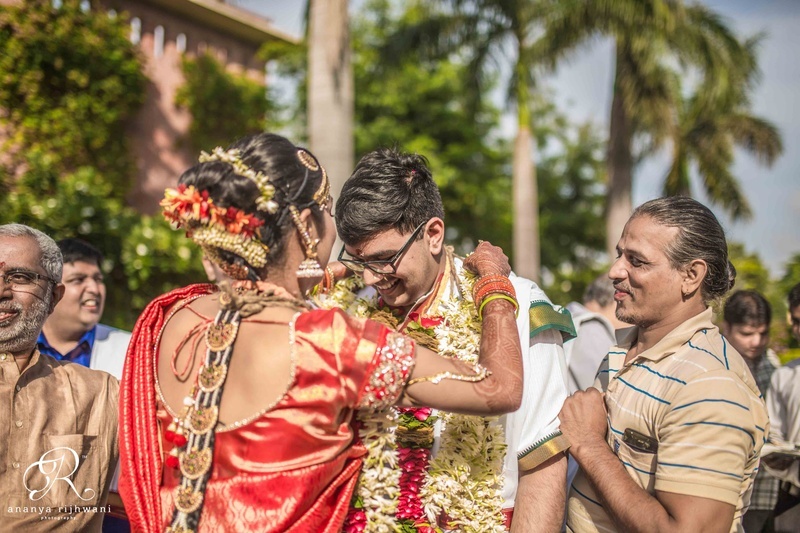 The groom, according to custom was dressed in all-white with hints of gold. 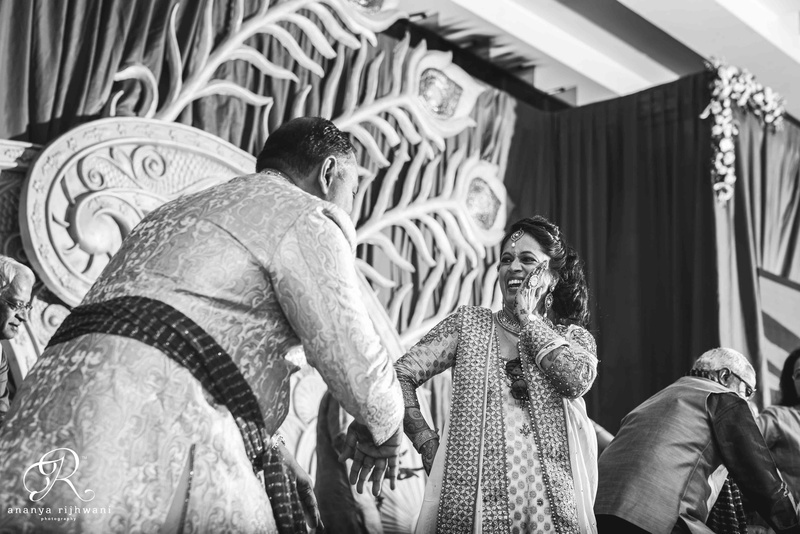 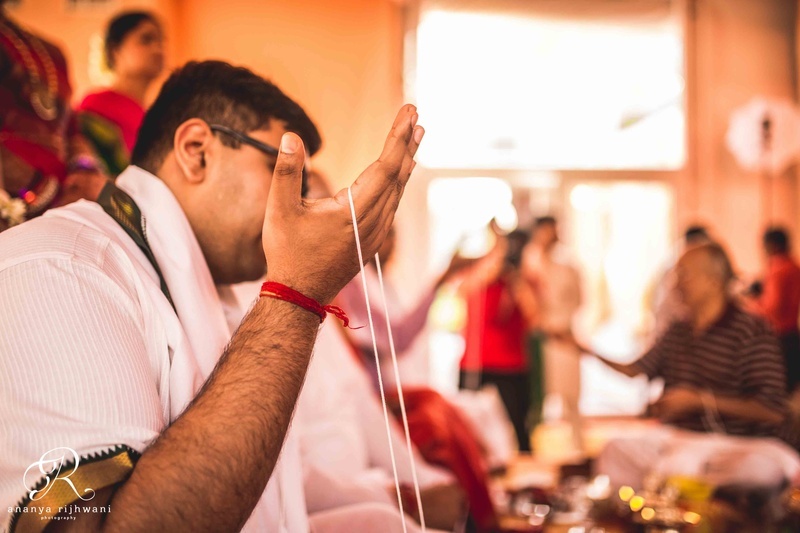 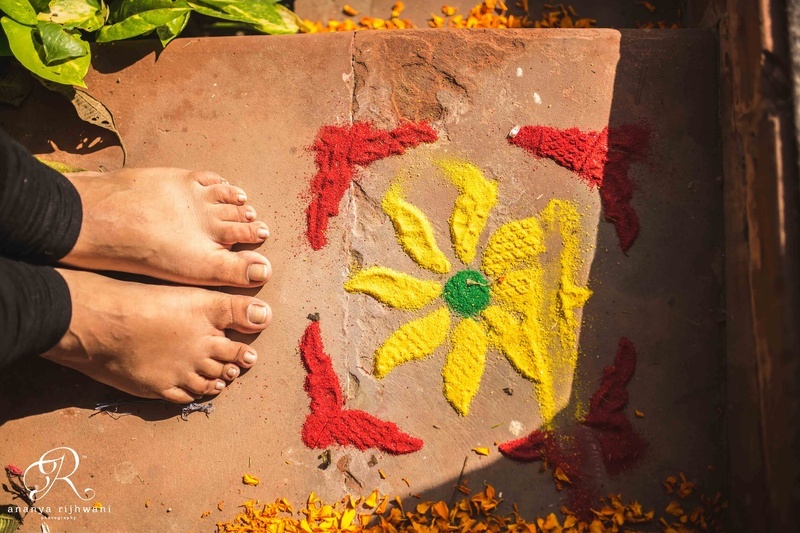 The wedding had tons of fun moments as well as love-filled ones that were beautifully captured by Ananya Rijhwani and Ujjwal Vanvari. 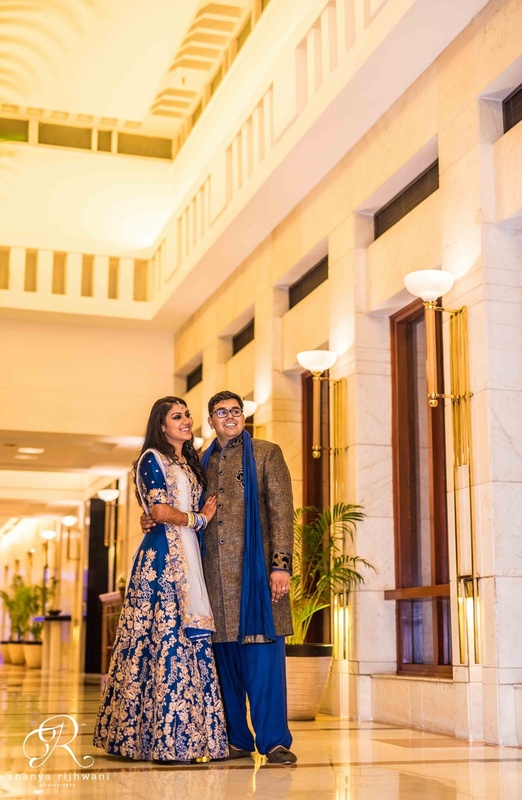 The groom sports a smart ensemble with a dupatta that compliments his bride's gorgeous lehenga with muted gold embroidery. 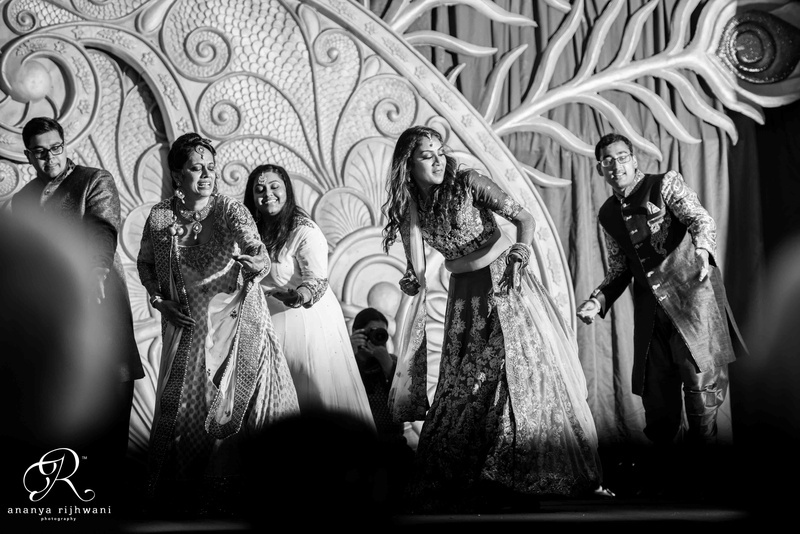 We love their quirky expressions. 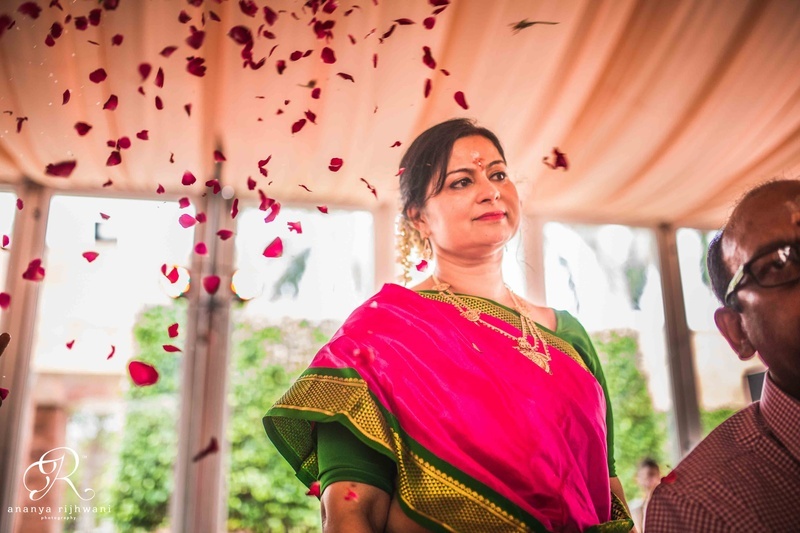 Bride under the rain of red rose petals.